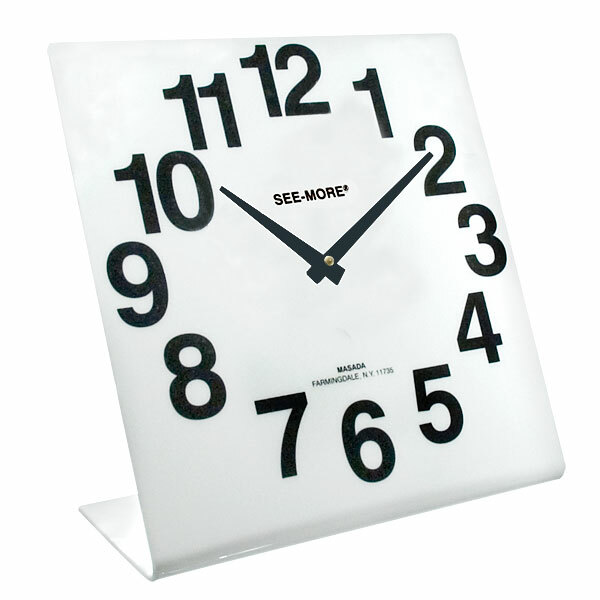 "Large Easy-to-See Face with Bold Black Numbers"
The Reizen Giant View Clock, with its bold black numbers measuring nearly 1.75" high set against a large bright white face, is helpful for those with macular degeneration and other low vision conditions. Other features include bold black hour and minute hands and reliable quartz movement. 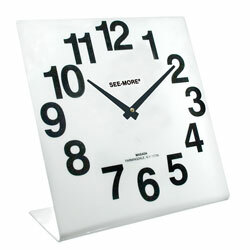 Stands on desk, table or countertop (angled self-standing design). Uses 1-AA battery (not included).